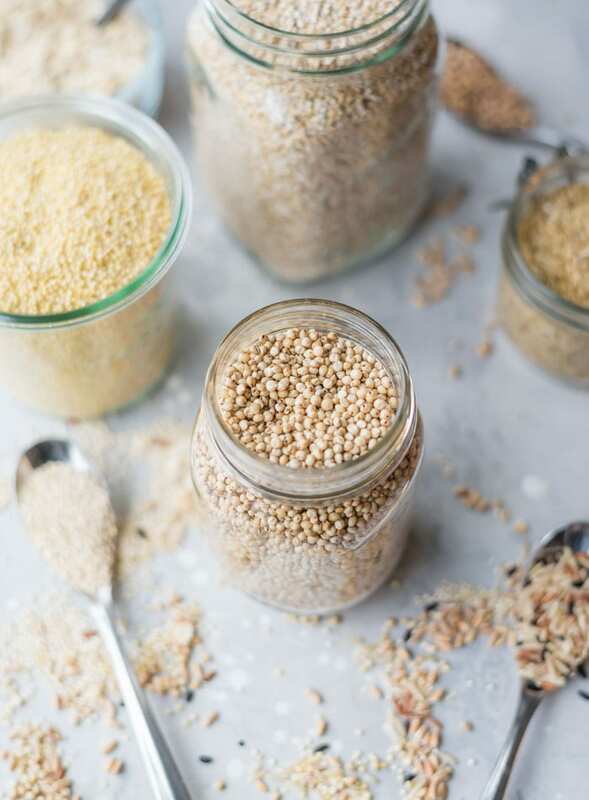 Guide to Whole Grains | millet, teff, freekeh, quinoa, amaranth and more! The Real Food Guide to Whole Grains discusses everything you need to know about the wide range of whole grains you can use in your kitchen. 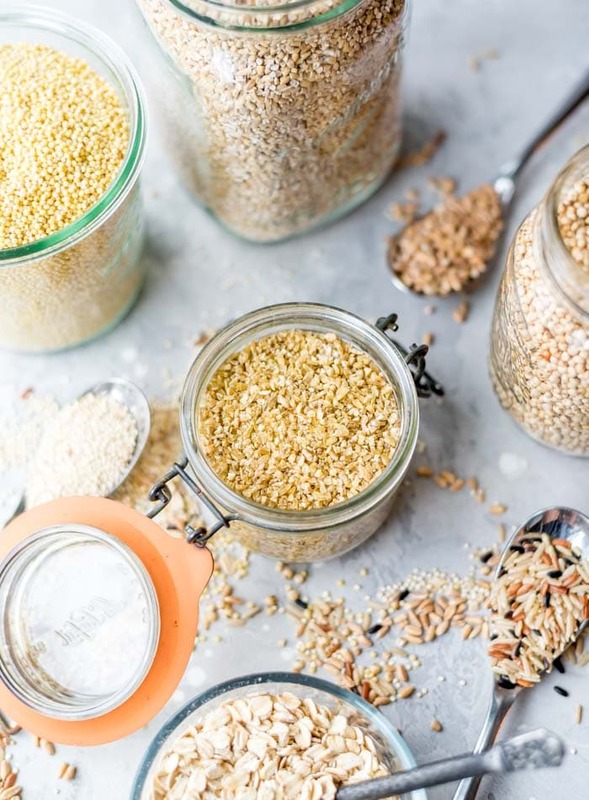 From quinoa, to freekeh, millet and teff, there’s more to whole grains than just brown rice and rolled oats. 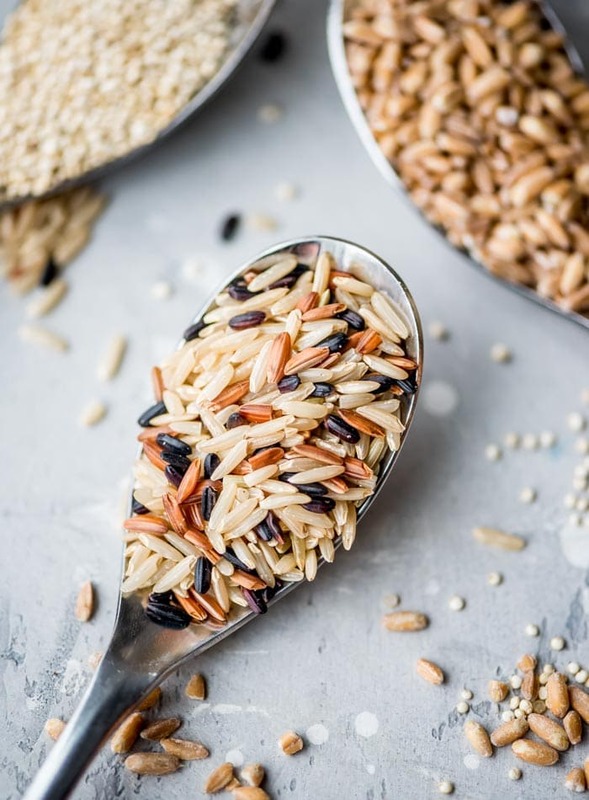 Whole grains are a good source of fibre, most of which comes from bran which is why refined grains that have the bran removed lose so much of their nutrition. They’re also rich in B vitamins such as niacin, thiamin and folate and contain important minerals such as zinc, iron and magnesium. Whole grains are readily available, inexpensive, easy to cook with and an incredibly versatile food to keep in your pantry. One of the best reasons to eat whole grains is their fibre content. Among its many health benefits, fibre feeds the good bacteria in our gut, keeping them healthy and diverse. Whole grains are also low glycemic, meaning they don’t cause a spike in blood sugar like refined grains can and they contain a range of powerful antioxidants. A whole grain includes all three parts of the seed, or the kernel of the grain. This includes the bran, or the outermost layer of the grain, where most of the fibre is found. The bran also contains B vitamins, minerals and a small amount of protein. Next you’ll find the endosperm, which is the biggest part of the grain where’ll you’ll find carbohydrates, protein and a small amount of vitamins and minerals. The smallest part of the seed is the germ and it provides a large amount of B vitamins, vitamin E and minerals. Whole grains as a food group have similar nutritional benefits. They’re high in fibre making them excellent for digestion and gut health, they’re rich in antioxidants and they’re a good source of magnesium, iron and B vitamins that are important for many bodily functions. Including a variety of whole grains in your diet on a daily basis is a great way to boost your health. Refined grains have had some or all of the germ and bran removed, reducing the nutritional value of the grain. 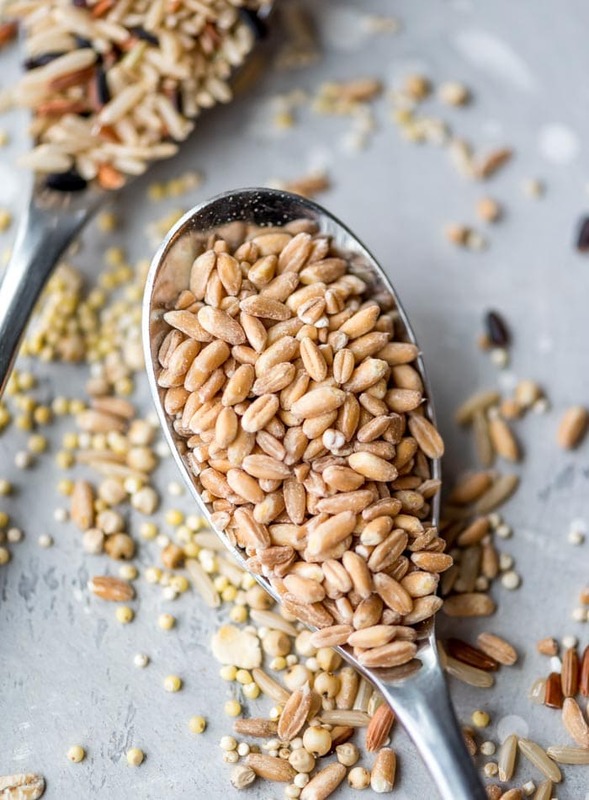 Since whole grains include the bran, endosperm and germ, they’re higher in fibre and have more vitamins, minerals and phytonutrients than refined grains. Refined grains include things like white flour, white rice and the refined grains you find in processed foods. Read more about refined grains in my guide to anti-inflammatory living. A healthy, diverse gut microbiome is hugely important into our overall health and disease prevention and luckily we can support a strong and robust microbiome through the foods we eat. Foods such as whole grains, fruits and vegetables, nuts and seeds and fermented foods help friendly microbes grow in the intestinal tract. A diet rich in whole grains nourishes gut bacteria, helping them do their job and improving our overall health. Good gut bacteria are important for everything from optimal brain function to a healthy immune system, to body weight regulation, heart health, metabolic function, mood, sleep and more. Heart Health: Eating whole grains enhances benefits gut microbes that produce chemicals which can decrease atherosclerosis. Cancer: Increased intake of whole grains is associated with improved health as well as a decreased cancer risk. The anti-cancer effects of whole grains occurs through changing the intestinal environment to an anti-cancer bacterial mix. Brain Health: Recent studies have shown how bacteria living in our intestine communicates with the brain affecting our mood and behavior. With high concentrations of feel-good compounds like serotonin and melatonin found in the gut, it’s important to promote a variety of beneficial and healthy gut bacteria. Eating a range of whole grains nourishes these beneficial bacteria. Obesity and Diabetes: Whole grains increase the number and types of bacteria in the gut that are associated with better glucose tolerance. The microbiota of people with diabetes has fewer bacteria that produce chemical benefits that help with glucose control. With less “good” bacteria, the end results is insulin resistance, a fatty liver and a higher prevalence of obesity. Read more on digestion in my guide to building a healthy gut. You may also find my vegan nutrition guide helpful. I’ve added the specific ratios of grain to liquid for each of the whole grains below, but in a pinch, just add the whole grain to a saucepan, cover with water, bring to a boil then reduce to a simmer and cook until the liquid is absorbed. You can always pour off excess water once it’s cooked if you accidentally add too much. Some heartier grains, such as brown rice and bulgur, have a longer cooking time and will require more water than say millet or teff. You can add more water as needed until the grain is soft and chewy. In this guide to whole grains, you’ll learn about the specific nutritional benefits, flavour and use of each whole grain as well as how to cook them. Gluten-free whole grains are noted as such. Grains are listed alphabetically. Amaranth isn’t actually a grain. The ancient pseudo-cereal comes from the flowers of the amaranth plant, which are made up of tiny grain-like buds much like grains. It’s gluten-free, highly nutritious and has a light, slightly sweet, nutty flavory. Amaranth is so fine it can be used to replace up to 1/4 of the flour in baking recipes. 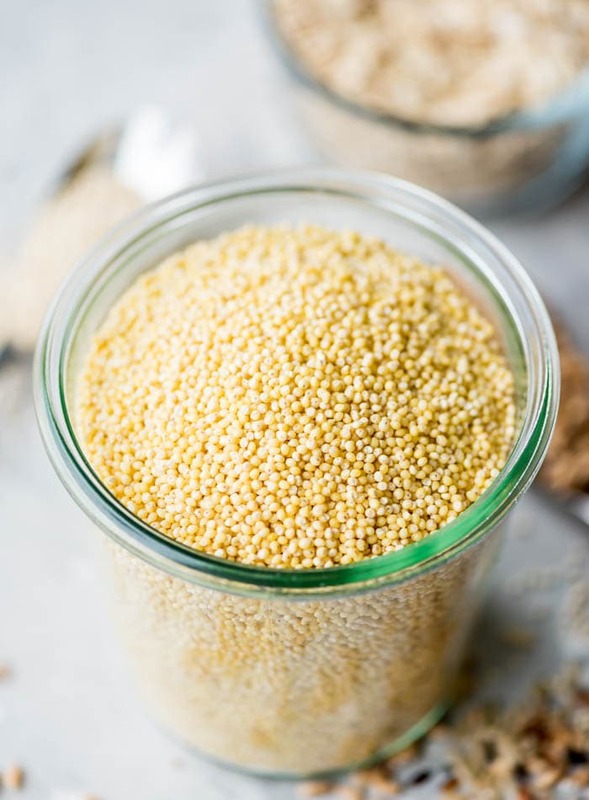 When cooked, amaranth has a texture similar to cream of wheat or grits. The amaranth seed is so small, when cooked they form a chewy but creamy texture. The seeds can’t ben picked apart like you could with brown rice or quinoa. I prefer the heartier grains like freekeh, brown rice, buckwheat and quinoa for porridge but if you love cream of wheat or grits, then amaranth is the grain for you. Amaranth can also be popped which is kinda fun. To pop amaranth, add the seeds to a hot, dry skillet and shake until they start to pop. You can eat the popped seeds as a snack or add them to salads, sides and soups. It can also be added to dishes like soup and stew to help thicken them up. Bring these ingredients to a bowl in a saucepan, then reduce heat and cook uncovered until the liquid is absorbed. Be careful towards the end as it will turn gummy and gelatinous if overcooked. Barley has some great health benefits and it’s a wonderful grain to include in your diet. It’s high in fibre, vitamins, minerals and antioxidants and all around health-boosting goodness. It contains selenium, B vitamins, copper, chromium, phosphorus, magnesium and more. Barley has a chewy texture and a slightly nutty flavour. It’s easy to use, inexpensive and can be eaten on its own or added to soups, stews, salads and casseroles. You can give it a try in my Barley and Kale Moroccan Salad with Pistachios. Flaked barley. Looks like rolled oats, usually cooked as a hot cereal or can be used in baking. Barley grits. Barley grains that have been toasted and cracked. They can be cooked as a hot cereal or used much like rice. Hulled barley (barley groats). Not as commonly found in stores, rich in fibre with a good nutritional content and strong, nutty flavour since the bran is left intact and only the outermost hull is removed unlike pearl barley, however this means they have a longer cooking time. Pearl barley. Pearl barley is probably the most common type of barley you’ll find in stores. Ithas a light, nutty taste but the granules tend to absorb the flavours of what it’s cooked in. Since the grains have their outer husk and bran removed in the milling process, pearl barley loses much of it’s nutrients in the process however it makes the cooking time much faster. Can be used in soups, stews, salads and sides and takes about 45 minutes to cook. Scotch (pot) barley. Not as refined as pearl barley so part of the bran remains. Good for soups and stews. Quick cooking (instant) barley. These grains have been flattened and pre-steamed to bring the cooking time down to just 10 minutes. Unhulled barley. Not very common in stores. The barley grains are left whole, they look kind of like buckwheat groats. These can be used to make barley sprouts or cooked like pearl barley, although this can take an hour or more. They’re chewy and high in fibre. Bring these ingredients to a bowl in a saucepan, then reduce heat and cook, covered until the liquid is absorbed and the grains are tender. You can’t go wrong with brown rice! It’s widely available, inexpensive, versatile. It can be used anywhere white rice would be and it has a delicious nutty flavour that works great in savoury and sweet dishes such as rice pudding and porridge. Bring these ingredients to a bowl in a saucepan, then reduce heat to a simmer, cover and cook for until the liquid is absorbed, approximately 30-45 minutes. The amount of water can vary depending on the rice you use but I’d recommend using a 2:1 ratio of water to rice and then adding more water as needed to cook until tender. Buckwheat is another “whole grain” that isn’t actually a whole grain but rather the edible, hulled seeds of the buckwheat plant. It’s naturally gluten-free, inexpensive, easy to prepare and has a yummy, earthy flavour. You can really bring out of the mild flavour of buckwheat grouts but roasting or toasting them before cooking. I love using buckwheat groats to make porridge. They have a chewy texture, much like steel-cut oats, that is so satisfying and comforting. You can also make your own buckwheat flour much like oat flour by blending buckwheat groats until you have a flour-like consistency. Combine water and buckwheat in a pot, bring to a boil, reduce heat to a simmer, cover and cook until tender, about 10 minutes. Bulgur wheat, sometimes called cracked wheat, is a whole wheat grain that has been cracked and partially cooked. It’s naturally high in fibre, low in fat and a great source of nutrients. Bulgur, wheat berries and freekeh are all wheat grains processed in various ways. Wheat berries being the whole, uncracked and uncooked version of the whole wheat grain and freekeh being young green, cracked wheat. Since bulgur is a wheat product, it is not gluten-free. Bulgur is most known as the main ingredient in tabouleh but there are many ways to use this fast-cooking grain. It’s awesome in soups, salads, in whole grain breads and anywhere you’d use brown rice. Cooked Bulgur Option: Add 1 cup bulgur to 2 cups cold water. Bring to a boil; cover and simmer for 12 – 15 minutes or until tender. Drain off excess liquid. Steamed/Soaked Bulgur Option: Bring 2 cups of water to a boil then turn off the heat and stir in 1 cup of uncooked bulgur wheat and a pinch of salt. Cover and let stand for 30 minutes. Drain any excess liquid, fluff, and serve. This allows the bulgur to steam making it nice and fluffy. Farro is one of my favourite whole grains for its dense chewy texture. The texture is similar to barley and you can use them interchangeably in recipes. Most farro you come across will be pearled farro. Pearled farro requires less cooking time than whole grain or semi-pearled farro, which are more common in Italy, where farro is quite popula and used in many traditional dishes. Farro can be used in soups, stews, casseroles, hot cereal and salads. 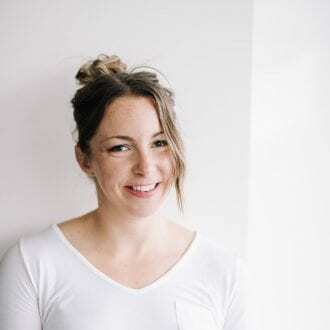 Farro can actually be a little confusing because the term farro actually encompasses 3 different wheat species: spelt, emmer and einkorn, all types of hulled wheats. You may also see whole grain farro, which has the highest concentration of nutrients but is harder to find and requires a much longer cooking time. I just buy Bob’s Red Mill Organic Farro. It’s lightly scratched, which allows a faster cooking time but maintains all the nutritional benefits. Farro can usually be found in the bulk food section of a well-stocked grocery store, or if your grocery store has a good selection of Bob’s Red Mill products it should be included there, or sometimes it’s found in the breakfast cereals section. Try it in my Mediterranean Farro Salad Bowls or 5-Minute Pumpkin Breakfast Farro Bowls. Bring the ingredients to a boil in a pot, then reduce heat, cover and cook for until the liquid is absorbed, approximately 25-30 minutes. You can soak farro overnight to reduce the cooking time to about 15 minutes. First of all, and yes I’ve been pronouncing it free-k all this time, freekeh is pronounced free-kah. Freekeh is wheat that’s harvested while young and green, then roasted an cracked. It’s a healthy whole grain and is similar to buglar wheat and wheat berries. It has a firm and slightly chewy texture and a distinct nutty and earthy flavour. Freekeh is a wheat product so if you have celiac disease or non-celiac gluten sensitivity, you won’t be able to enjoy this grain but no worries, just choose one of the other whole grains on this list that is gluten-free. Freekeh is available as wholegrain freekeh and cracked freekeh. Wholegrain freekeh is the whole grain, it’s firm and chewy and similar to wheat berries. Cracked freekeh is close to bulgur and is just wholegrain freekeh cracked into smaller pieces. Cracked freekeh cooks in about 15 minutes, much faster than the 45 minutes needed for wholegrain freekeh. Try it in my Butternut Squash Freekeh Salad Bowls. You can use freekeh as an alternative to brown rice or other whole grain in any dish. You can make breakfast porridge, warm and cold salads, curries, stir-fries, burritos and just about anything else you can think of. I really enjoy the flavour and texture of freekeh and love it for breakfast porridge and salads. very high in protein, even more than quinoa! Bring these ingredients to a bowl in a saucepan, then reduce heat and cook for until the liquid is absorbed, approximately 15 minutes. Kaniwa, a cousin of quinoa, is a grain native to South America though it’s not that well known just yet. It’s about half the size of quinoa, a bit darker in colour and has a sweeter taste, otherwise, the flavour is similar, nutty and mild. You can add cooked kaniwa to soups, stews, stir-fries, salads, anywhere you’d use rice or quinoa, or use it to make a yummy breakfast porridge with sweetener, raisins and chopped nuts. Add the water and kaniwa to a pot and simmer for 15-20 minutes. alkaline, meaning it helps balance the body’s tendency towards acidity. Bring everything to a boil in a saucepan then reduce heat to a simmer, cover and cook for 15 minutes until all the liquid is absorbed. Remove from heat and let it sit for 10 minutes to fully absorb the liquid. After it sits, give it a fluff with a fork and then serve right away, add to other recipes or store for later. Careful not to over millet or it can congeal. Teff is a small, fine ancient grain native to Ethiopia. It has a mild, nutty flavour and packs plenty of nutrition. I don’t love teff for porridge because the grain is so fine however some people really like it so it’s worth mentioning as an option for whole grain porridge. The consistency, much like amaranth, is similar to polenta or cream of wheat. Teff is most commonly used for making the popular Ethiopian flatbread injera, which is made from teff that’s been ground into flour. Bring everything to a boil in a saucepan then reduce heat to a simmer, cover and cook for 15-20 minutes until all the liquid is absorbed. Check at 15 minutes to prevent it from sticking to the pan and burning. Once it’s cooked, you can enjoy it as a cream-of-wheat-style porridge with sweetener, a drizzle of milk and topped with nuts and fruit. Leftovers can be stored in the fridge and re-heated with some non-dairy milk as needed. Spelt is an ancient grain that’s related to durum wheat. It’s never been hybridized so its retained many of its original characteristics such as its complex flavour and nutrition. Spelt is unusual in that it’s typically more easily digested than other forms of wheat, so people with wheat intolerances can often tolerate it however, it is a type of wheat so it’s not gluten-free. Spelt has a chewy texture and sweet, nutty flavour. You can use it in hot cereals, in soups and salads and anywhere you’d use rice. Spelt flour is also great for breads and baking. Add 1 cup spelt berries to 3 cups boiling water or stock. Cover, reduce heat and simmer for 1 to 1 1/2 hours or until grains are tender and chewy. Pour off any excess liquid and serve. To reduce cooking time to 40-60 minutes, soak grains overnight and drain before use. Sometimes called milo, sorghum is an ancient whole grain that originated in Africa. It’s naturally gluten-free and has a mild, earthy flavour and texture similar to wheat berries. Like most whole grains, sorghum can be used in salads, soups, sides, for porridge and anywhere you’d use brown rice. It can also be popped stovetop much like amaranth. Sorghum flour is a popular gluten-free and works well in baking thanks to it’s protein content which helps replicate gluten. Sorghum is also used to make sorghum molasses and syrups. Bring the water or broth to a boil, add the sorghum, cover, bring back to a boil, then to reduce to a simmer and cook until the water is gone and the grain is tender and has puffed up, approximately 45-55 minutes. There are a ton of options when it comes to oats. 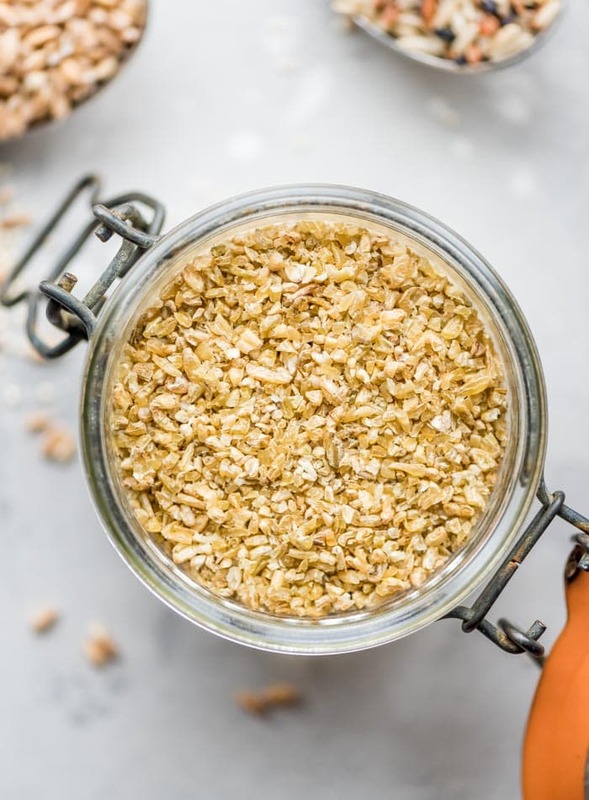 You can use rolled oats, extra thick rolled oats, organic rolled oats, gluten-free rolled oats, quick cooking steel-cut oats and just about everything in between. Any of these are good options and they all have similar nutritional benefits. 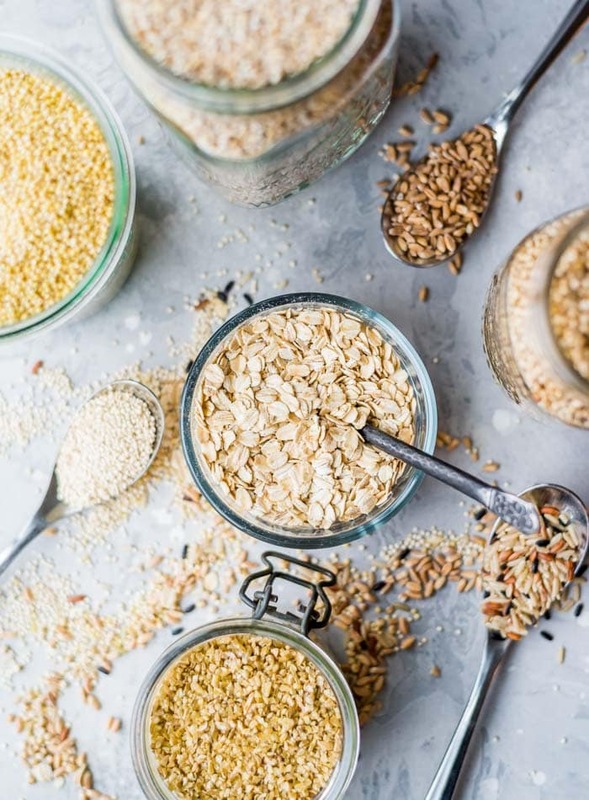 Oats are naturally gluten-free but if you have celiac or a gluten intolerance, make sure you choose gluten-free rolled oats , meaning they have been processed in a dedicated gluten-free facility. Steel cut oats are whole oat groats that have been cut into pieces on a steel buhr mill. Bring the water to a boil, add the oats, reduce to a simmer, cover and cook 10-20 minutes depending on how chewy you want them to be. You can add a bit more water if needed after 10-15 minutes and continue cooking if you want to them to be softer. For quick cooking oats, bring 1 cup of water to a boil in a small saucepan, then stir in 1/2 cup oats and a pinch of salt, if desired, reduce heat and cook for 1 minute. Let stand for 2-3 minutes, top with your favourite ingredients and serve right way. For old fashioned or rolled oats, follow the same instructions but let them cook for about 5 minutes. You can also make overnight oats or muesli simply by adding oats, water or milk and any desired toppings to a container and letting them soak overnight. 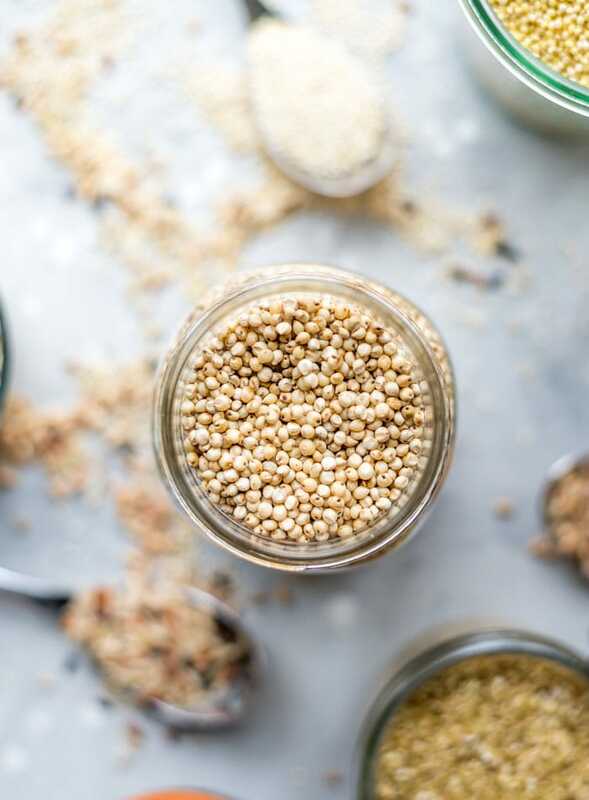 Quinoa, a pseudo-grain, is referred to a whole grain but it’s actually an edible, gluten-free seed. Pronounced keen-wa, this ancient grain has a yummy, nutty flavour and works great in everything from breakfast porridge to soups and salads. 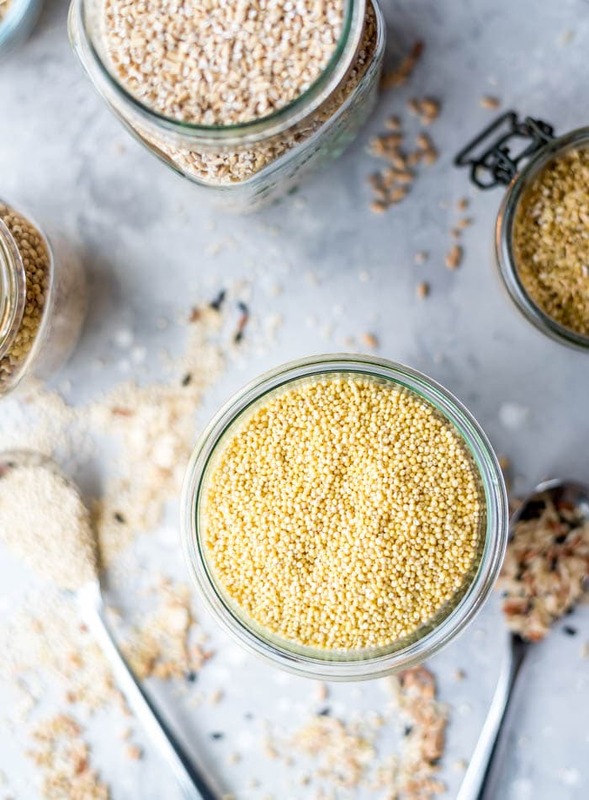 Quinoa is gluten-free and easily digestible and makes a good choice for anyone looking to increase the protein and fibre in their diet. I also love quinoa flour and quinoa flakes. Quinoa flour is awesome for baking and quinoa flakes can be used in baking or in any way you’d use oats. From soaking, to sprouting, to how to store whole grains, let’s go through some whole grain FAQ’s. How Do I Store Leftover Cooked Grains? You can store cooked grains in the fridge in an air-tight container for up to 4 days or in the freezer for up to 2 months. The heartier, chewier grains such barley, buckwheat, farro, rice and buckwheat freeze well, while softer grains such as amaranth and teff don’t work quite as well. You can still go ahead and freeze them, they just won’t have quite the same texture once thawed. Cooked grains can be frozen in resealable freezer bags or airtight containers. Simply add the cooked, cooled grains to either a bag or container and freeze, then pull out as needed to thaw for use. You can thaw them in the fridge overnight or if you need them in a pinch, you can thaw them by placing in a bowl of hot water for 15 minutes. How Do I Store Dry Grains? Dry grains should be stored in airtight containers in a cool, dry, dark place or they can be stored in the freezer. They’ll keep about 6 months in the pantry and up to a year in the freezer. Should I Soak Whole Grains? Much like sprouting whole grains which will discuss below, the concept behind soaking your whole grains is reducing their phytic acid content. Grains store phosphorus as phytic acid and when it’s bound to minerals in the seed, it’s known as a phytate. Most phytate is broken down in the stomach and small intestines however phytic acid can bind minerals in the gut before they are absorbed and reduce the digestibility of macronutrients. They can bind minerals iron, zinc, and manganese and once bound, they will be excreted as wasted. This can be an issue if you’re struggling with mineral deficiencies but if you’re eating a plant-rich, diverse and balanced diet, you should be okay. If you’re concerned soaking whole grains will reduce phytic acid and other anti-nutrients. Vegans and vegetarians consuming whole grains should be particularly conscious of getting plenty of iron to account for any iron lost to phytic acid. Cooking grains does reduce the phytic acid content but only to some degree. 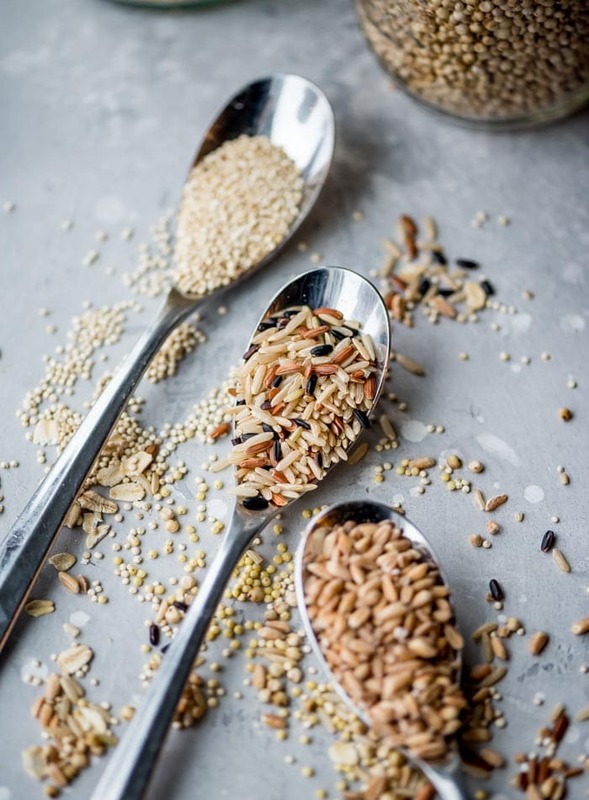 To remove more of it, you’ll want to soak grains and seeds overnight and to remove almost all of it and thereby maximizing your food’s nutritional potential, sprouting your grains is the best bet. Here’s the thing: soaking grains is super easy! All it takes is some planning ahead. Place the grain in a glass bowl or jar and cover with filtered warm water. For every 1 cup of liquid you’ll need 1 tbsp of acid medium. You can use apple cider vinegar or fresh lemon juice. 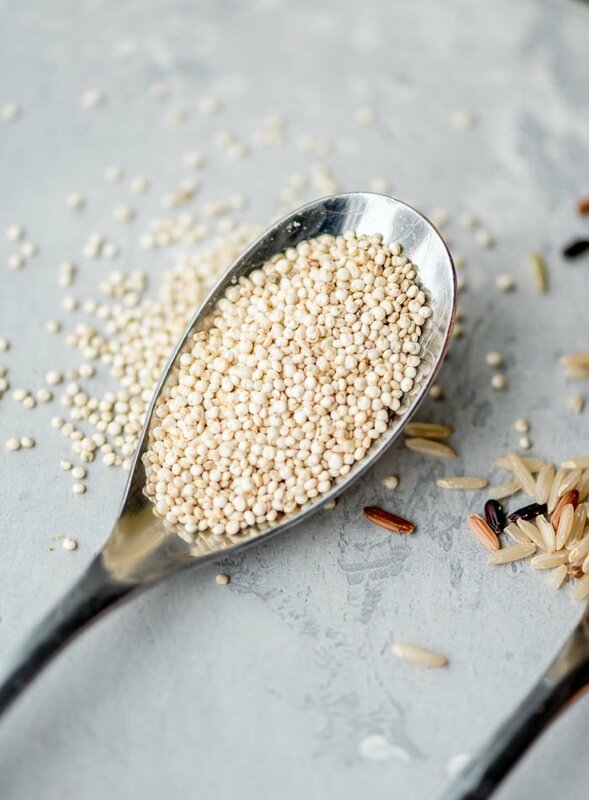 Most grains need to be soaked for 12-24 hours however buckwheat, brown rice and millet have a lower phytic acid level and only need about 8 hours. Cover the bowl or jar with a clean dishcloth and place a rubber band around it. That’s it! Once they’ve soaked for the required time, drain them and proceed with cooking, noting that cooking time will be less than non-soaked grains. What About Sprouting Whole Grains? Sprouted grains are seeds that have germinated and are then eaten before they develop into a full-grown plant. All grains are seeds and all whole grains can germinated if placed in the right conditions. 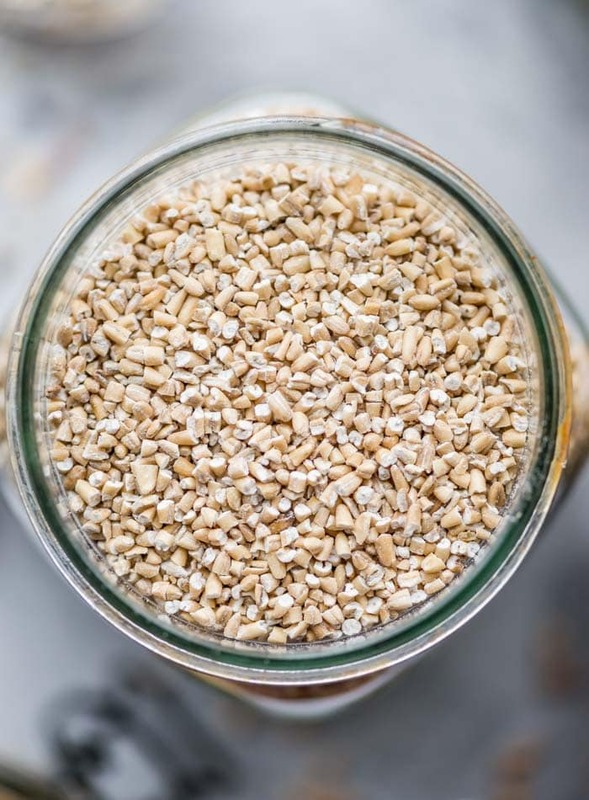 Soaking and sprouting whole grains is done to deactivate phytic acid, a natural compound in whole grains that prevents minerals from being absorbed. Therefore, sprouting whole grains can make it easier for use to digest them and absorb their nutrients. Sprouting also increases the amino acid, B vitamin and vitamin C content in whole grains. 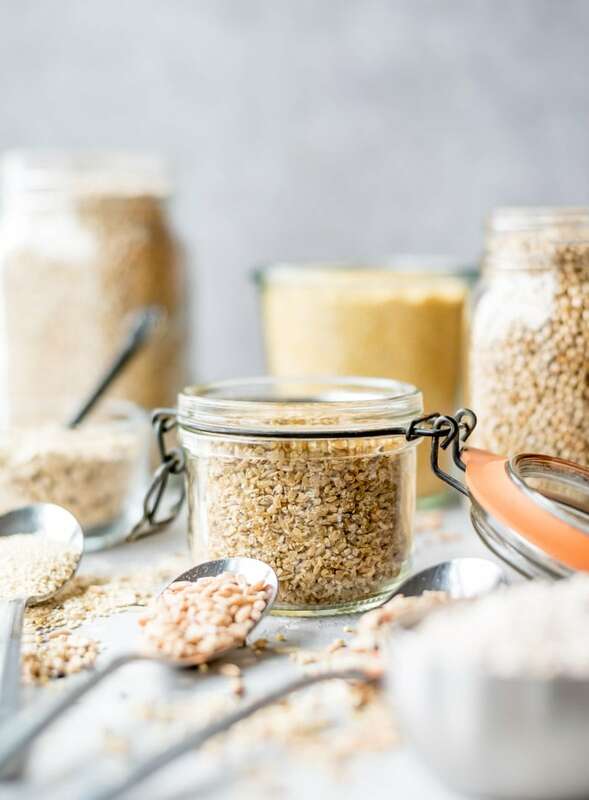 Some reports state that the nutritional difference of sprouting grains to be very minimal and some research suggests phytic acids may even have some health benefits such as fighting inflammation and cancer prevention. Not only that, phytic seems to bind to heavy metals such as lean, helping to prevent their build up in the body. Sprouting does make minerals like calcium and iron more absorbable but you’ll still get the benefits of eating whole grains with or without sprouting and phytates are no reason not to consume whole grains, especially if you already eat a well-balanced diet and mineral deficiency isn’t an issue. Try farro, freekeh, barley, spelt berries or bulgur instead of brown rice. Try millet, quinoa, steel-cut oats, buckwheat groats or amaranth instead of oats for porridge. 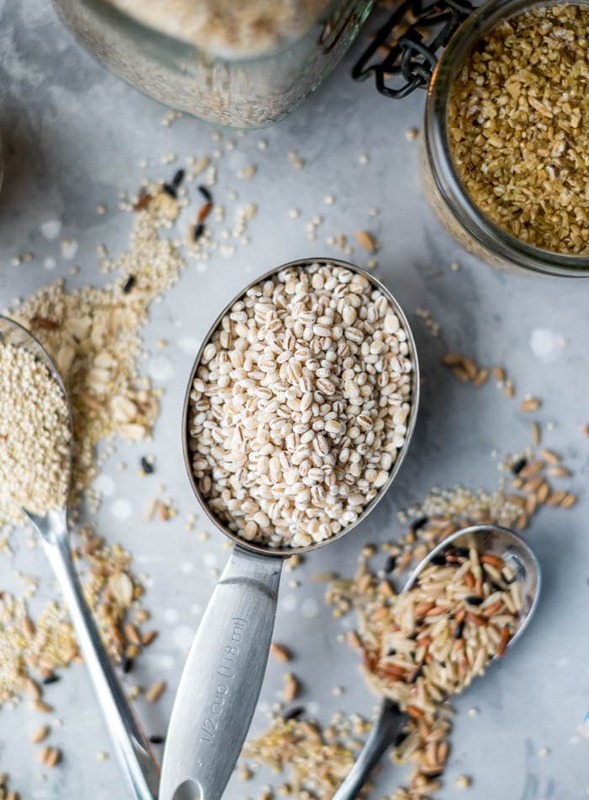 Buckwheat groats are one of my favourites for porridge and even overnight oats, I love freekeh, farro, barley and bulgur for hearty salads and quinoa and millet are great in soups in stews but you can use any of them for pretty much any purpose, so feel free to experiment. I like to include one cooked whole grain as part of my weekly food prep, that way it’s ready to go and I can add a scoop to salads and soups or re-heat it as a quick alternative to breakfast oatmeal. This is one hell of a thorough guide. I am a big fan of your recipes and content. Thanks for this! I am actually developing my own site to share plant based recipes. Your site is a huge inspiration to me. Thank you so much, Scott!! That means a lot to me. Good luck with your site! Aww thanks! I don’t have an ebook right now but I am working on one! Glad you liked the post.